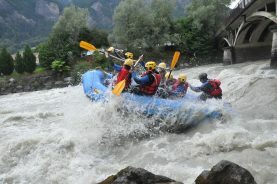 ACE is a mountain and white waters professional : canyoning, via ferrata, climbing, adapted sports... The adventure fervently ! 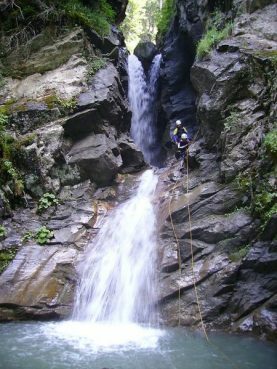 The most beautiful canyons, the most beautiful via ferrata of the region for everybody, climbing also : beginners, sportsmen, individuals, groups. You have a handicap? Do not hesitate to contact us ! 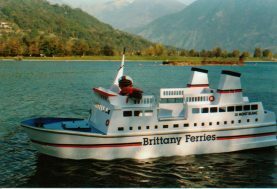 TRANSPORT AND EQUIPMENT INCLUDED. 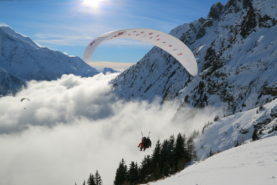 Ecolorado has two bases, one in Passy and the other in Samoens. 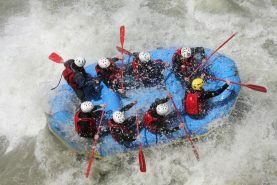 Activities: rafting, hydrospeed, canoraft, airboat and Paddle board. 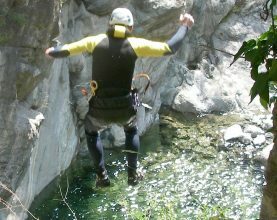 Gilles, canyoning guide takes you to the discovery of the torrents and mountain gorges in a fascinating and specific environment. 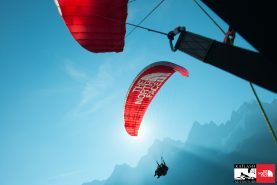 In order to discover conyoning and have fun with your family or to spend a sportive and an adventure with your friends, OXO has selectionned the best canyons in the Valley. 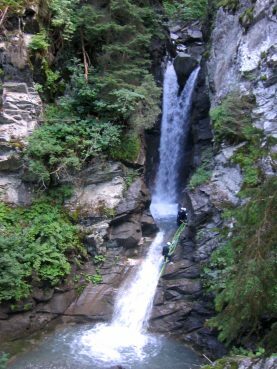 Jumps, abseils, water slide, this summer you have to try! 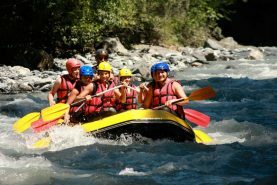 Located at the bottom of the Montenvers near the Chamonix Leisure Park, Session RAFT offers every kind of white water activities in the valley.